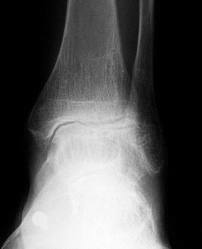 Ankle arthritis can result from such things as ankle sprains, ankle fractures and infection. Other conditions that can lead to an arthritic ankle include rheumatoid arthritis or other inflammatory conditions. Ankle Arthritis results from a loss of cartilage within the joint that normally provides a lubricated surface for smooth range of motion. 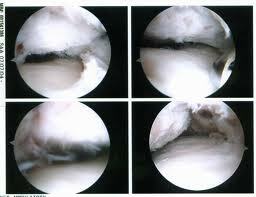 The cartilage begins to wear away and patients often feel a catching, stiffness, swelling or pain with activity. Treatment for ankle arthritis can include conservative or surgical care.